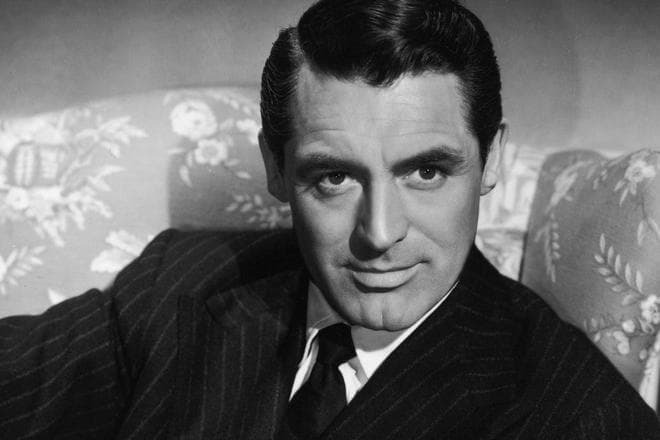 Cary Grant is one of the representatives of "old" Hollywood. Together with Alain Delon, Marlon Brando, and Clark Gable, the actor has enchanted the women of the whole world and made them lose their mind because of love. 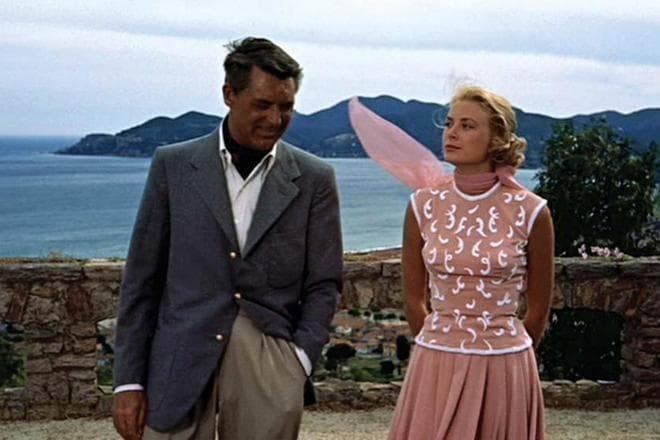 People say that even the Princess of Monaco Grace Kelly couldn't resist his charm, and Audrey Hepburn, Sophia Loren and Ingrid Bergman as well. 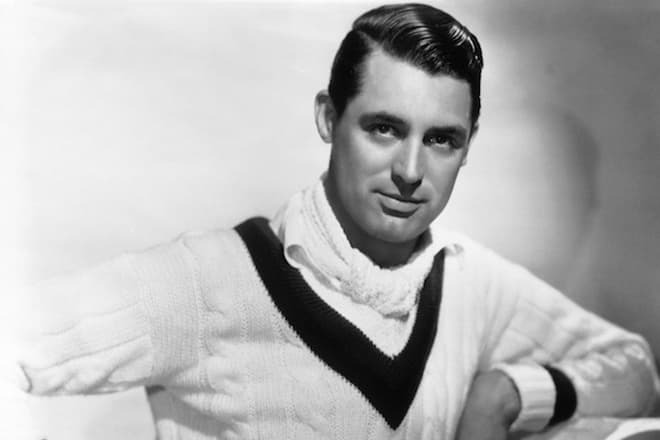 Archibald Alec Leach (the real name of Cary Grant) was born on the 18th of January of 1904 in Bristol. He was the second child in the English family of Elias James and Elsie Maria (née Kingdon). His elder brother, John William Elias, died because of tuberculous meningitis in 1900. He had hardly turned one year at that time. It was hard to call life in the Leach's family happy and prosperous: his father drank all the time drinking, and his had clinical depression. Archibald became a kind of medicine for Elsie. From the age of four she taught her son how to dance, sing and play the piano, she took him to watch the movies. Having become a famous actor, Cary Grant confessed that his mother was too annoying: she deprived him of his pocket money for the slightest offense, she was irritated if her husband smoked or drank alcohol in his presence. Elsie showed her care as she was afraid of losing another son. 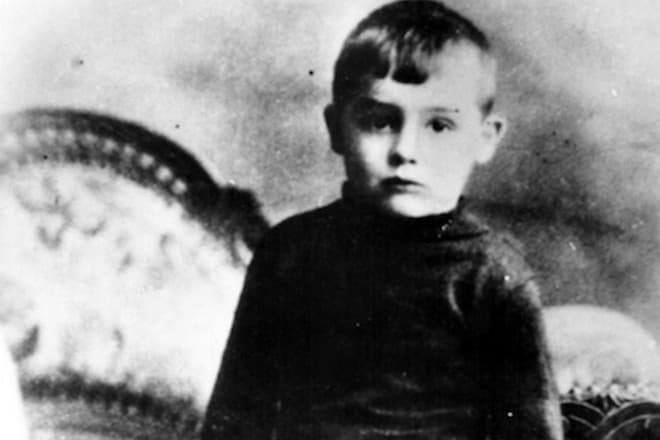 When Archibald turned nine, Elias took his spouse to the psychiatric clinic and told the boy that she had died. His father confessed that he had lied to his son only before his death when the actor was thirty-one years old. Grant ordered that his mother should leave the hospital in June of 1935. For the first time after the long parting, the mother and her son met in 1938. Hardly had a year passed, in 1913 Cary’s father began to have a new family, in which there turned out not to be a place for his son. Archibald's grandmother, Elsie's mother, began to take care and to bring up the boy. Bad relations with his parents made the boy closed and introverted. Though he had friends - acrobatic dancers from the “Bob Pender Stage Troupe." They taught Archibald to do tricks on stilts and took him on tour. In 1914, during the Berlin tour, the beginning acrobat was noticed by Jesse Lasky, who was a producer on Broadway, at that time an later became one of Paramount Pictures founders. In 1915, Archibald got the scholarship for the studies at the Fairfield Grammar School in Bristol. His attractive appearance and acting skills made the boy famous among his peers. He was successful in all subjects; he got fancy for sports. Though, the teachers remembered him as "a naughty boy who was always noisy sitting at the last desks and didn't complete his homework." Archibald spent his spare time behind the scenes of the theaters. In 1917, when the popular illusionist David Devant performed in Bristol Empire, the thirteen-year-old boy was engaged in the stage lighting. And being a delivery boy at the docks of Southampton aroused a desire to travel in Archibald. Once he could receive the job of the waiter on the ship, but he didn't get this job because of the young age. In 1918, Leach Jr. was dropped out from the school: for a couple of times he was found in the ladies' room and helped his classmates to rob the shop. Jeffrey Woensel, Cary Grant's biographer, wrote that he had made this on purpose so that he could return to his career of the traveling artist. And really - three days later he began touring again, and he did it legally: Elias made up his mind to legalize his son's hobby. The contract, which was concluded between Archibald and the troupe, was destined to last for three years, provided weekly payments (£ 0.5 per each), lodgement, payments for dance lessons and other occupations up to the age of eighteen. In his young years, the guy often relocated from one place to another. At last, he settled in the United States and created his own acrobatic The Walking Stanleyys troupe. In his free time from the circus, Archibald acted on the Broadway stage. For the first job, the young man earned $ 75 per week; then his salary increased to $ 350. Step by step the theatrical career began to prevail over the street performances, and in 1930 he set off on tour with the troupe of The Street Singer musical. The actor’s role of the soldier of post-war France in the musical Nikki staged by William Friedlander was highly appreciated by the critics of The New York Daily News. For example, Ed Sullivan admitted that “the young guy from England will have a bright future in the movie industry." The article appeared to be prophetic. On the 7th of December of 1931, Paramount Pictures company concluded the five-year contract with the young actor with the starting fee of $ 450 per week. At the same time, the agents advised the actor to change his name to "something more similar to the American name, like Gary Cooper." 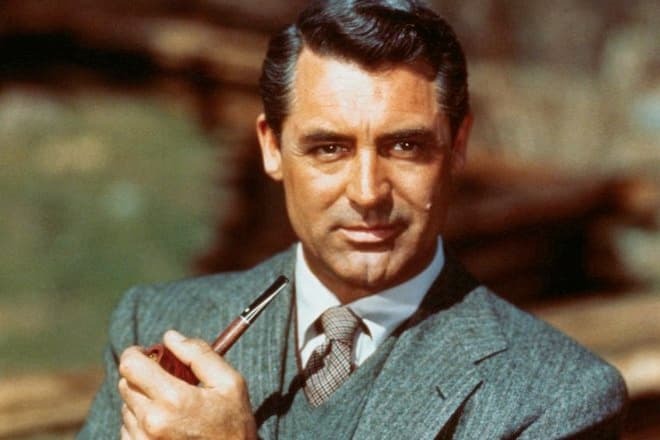 In such a way Archibald Leach became Cary Grant. Grant was disappointed with the role of the Olympic spear thrower in the debut movie This Is the Night of 1932, and he wanted to break the recently concluded contract. But, to his surprise, the critics of Variety editing house gave positive feedback. 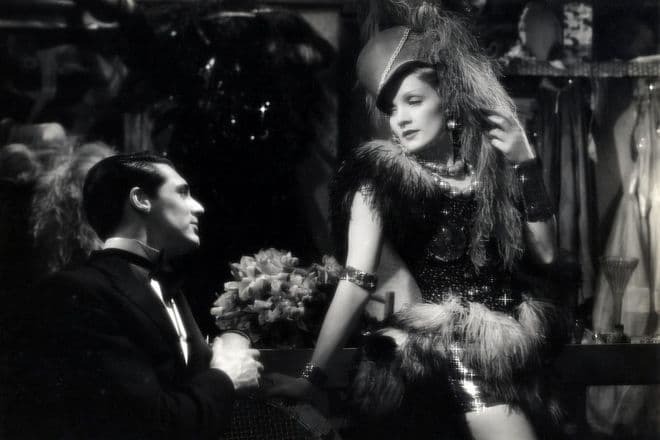 The same year the actor appeared in the movie Blonde Venus featuring Marlene Dietrich. 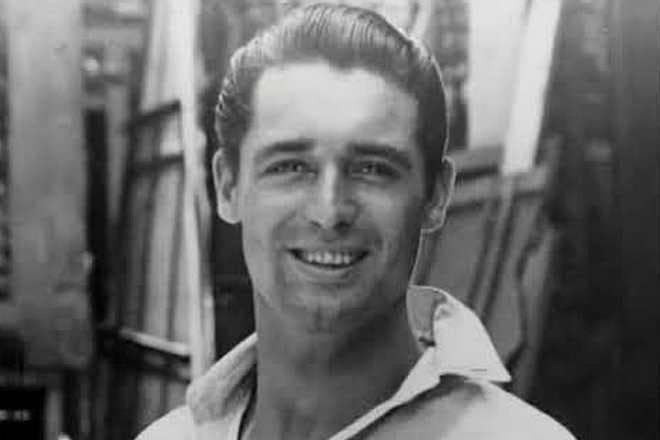 The movies of 1932 - Devil and the Deep, Madama Butterfly, Hot Saturday- didn't bring great popularity to Cary Grant. Though, these films created the image of "an ideal man who isn't afraid to fall in love". 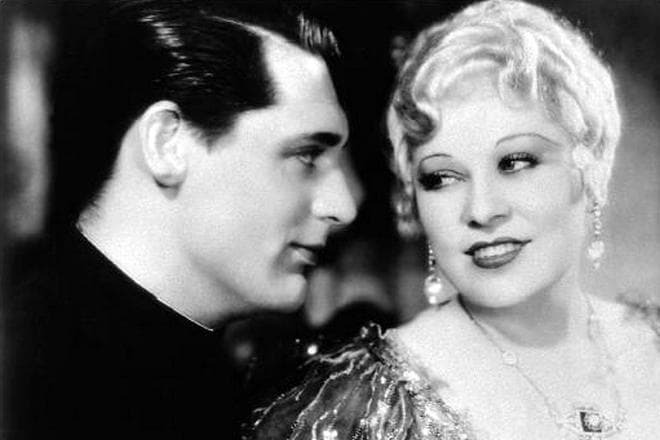 The movie She Done Him Wrong released in 1933 earned more than $2 million in the American hire and made Grant popular. His fee achieved $750 per week. And the movie I'm No Angel helped Paramount Pictures to avoid the bankruptcy. After the great success in the creative biography of Grant, he had failures: Born to be Bad, Kiss and Make-Up, Wings in the Dark didn't collect full cinemas. That's why the actor was called "unprofitable," and the directors planned to fire them. 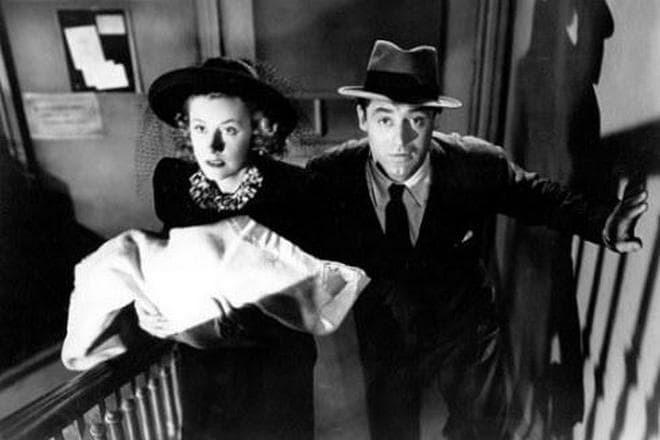 The collaboration with Paramount Pictures company came to an end with the shooting of the movie Wedding Present in 1936. Grant concluded the two-year contract with RKO and Columbia Pictures. During this time, they have to shoot four movies. The picture When You're in Love became the first and was released in 1937. In this movie, the actor performed the role of the wealthy American artist who tries to conquer the famous opera singer. As Cary Grant considered, the film The Philadelphia Story released in 1940 was to bring him Academic Awards. The Academy noticed the actor a year later in the movie Penny Serenade and then in 1944 in the movie None, But the Lonely Hear. Unfortunately, he didn't receive the prize. Alfred Hitchcock – the director who became famous for his coldblooded thrillers, saw the future star in Cary Grant and invited him to take part in the movie Suspicion. The project turned out to be a failure: because of the image of the ideal man, Hitchcock didn’t complete the story of Grant's hero by the suicide, as he was planning earlier, and he put his character into the prison. “If you don’t have the cynical final, this makes the story too simple,” said the director. In the early 1950s, Grant had a decrease in his career. After twenty years of the shootings, the acrobat Archibald Leach got tired of his romantic image. After the actor took part in the movie Dream Wife in 1953 together with Deborah Kerr, Cary Grant decided to have a break in his career. Though, this break didn’t last for long. 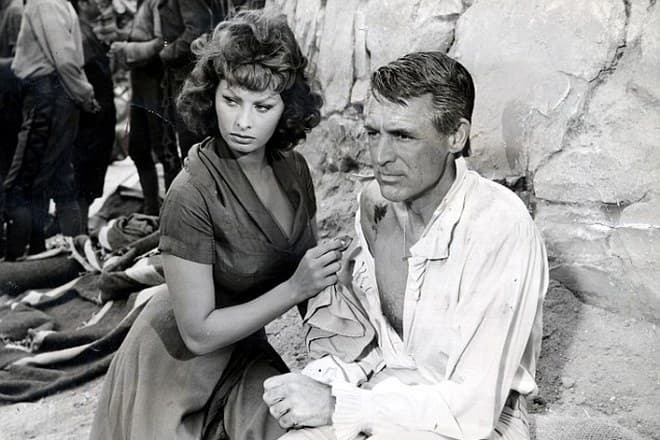 And he had something to compare with - Grant again worked with Deborah Kerr in the movie The Pride and the Passion and appeared on the film set with Sophia Loren in Pride and Passion. The actor felt affection to Sophia Loren and proposed to her, but their love affair wasn't successful. In the movie Houseboat, the artists were shooting together hardly bearing together. The movie Walk Don't Run released in 1966 became the latest movie in Cary Grant's filmography. After that, the 62-year-old actor announced about the finish of his career. The heavy relations with his mother in childhood left a trace on Cary Grant’s relationships with the women: he was looking for support in them, he was nervous if they began to control him. However, the actor's personal life was saturated - Grant had five marriages. 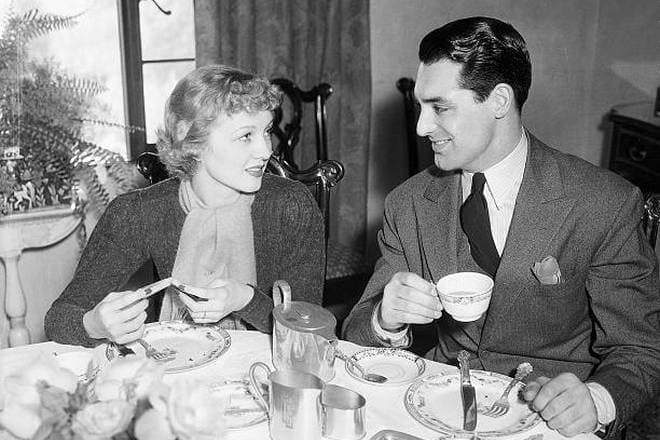 On the 9th of February of 1934, the actor got married with Virginia Cherrill. Their marriage lasted just for a year and on the 26th of March, 1935 they divorced. Allegedly, Grant was beating his spouse. In 1942, the actor married Barbara Hutton who was one of the wealthiest women in the world. She inherited $50 million from her grandfather who created Woolworth network. The lovers divorced three years later and stayed "the most faithful and loving friends". 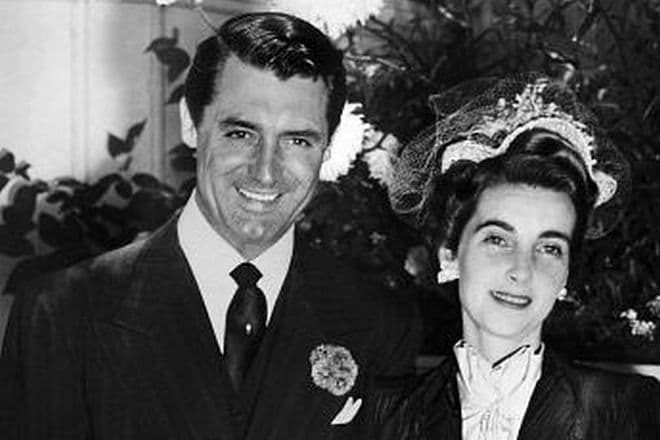 In 1949, Grant's colleague on the movies Betsy Drake became his wife. This marriage appeared to be the longest one and lasted until 1962. The actor had his children born in another marriage. In 1965, the actor got married in the church with Dyan Cannon. 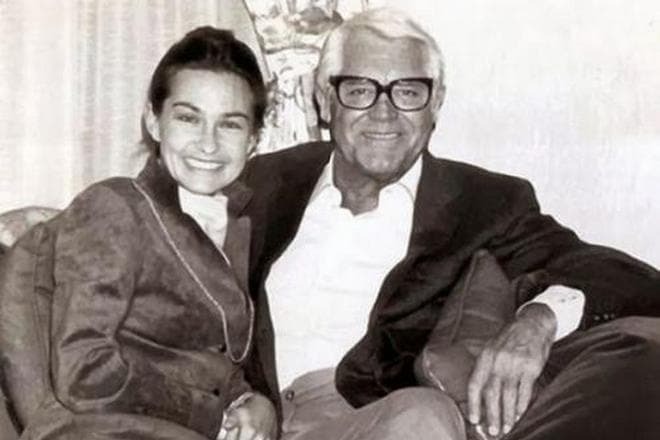 On the 26th of February, 1966, their daughter Jennifer was born, whom Cary Grant called "his best production." Two years later the spouses divorced. "My father liked rumors about his homosexuality, and said that these rumors just created additional women’s interest in his person." 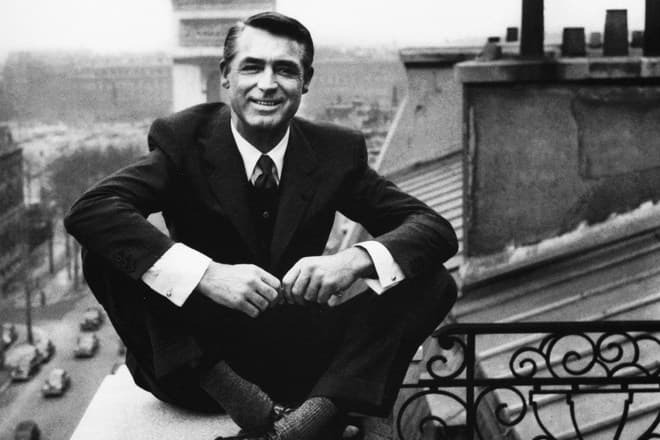 At the turn of the 1970s and 1980s, many of Cary Grant's close friends died: Howard Hughes (1976), Howard Hawks (1977), Barbara Hutton (1979), Alfred Hitchcock (1980), Grace Kelly and Ingrid Bergman (1982). The endless range of sad events became the reason of the fact that the actor’s health became worse: he suffered from spiking blood pressure and arrhythmia. 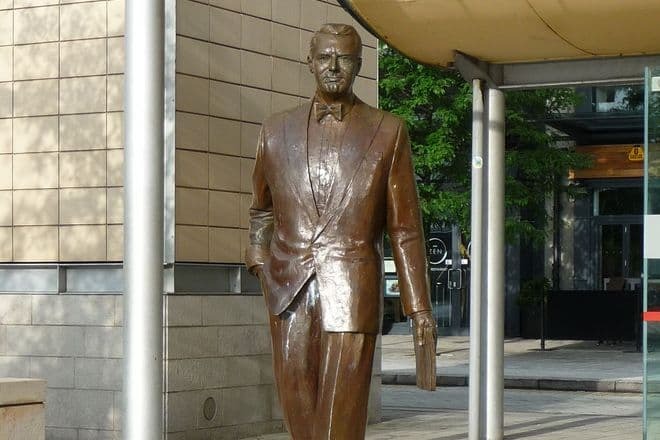 On the 29th of November of 1986, somebody called the doctor to the hotel room of Cary Grant and his wife. The actor had a massive stroke, but the man refused to be taken to the hospital. The actor was taken to the hospital only when he slipped into a coma. The doctors were fighting for the life of the "Hollywood king" during 45 minutes, and half an hour before the midnight, Cary Grant died. At that moment he was 82 years old.